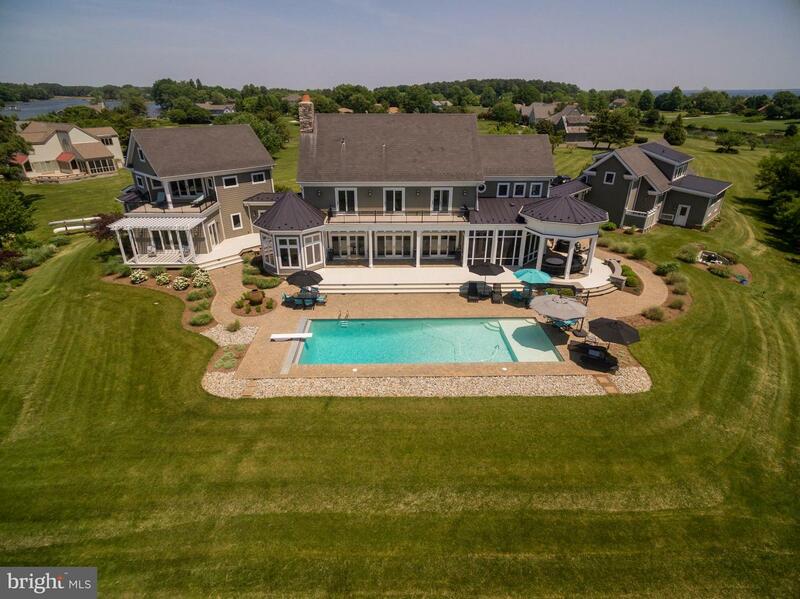 Spectacular Custom 5 Bedroom, 5.5 bath Waterfront home in exclusive Cove Creek Club on Kent Island. Situated 12 ft above flood plan on a protected 2.78 acre point of land with boat lift and 5 ft of MLW. Rip rapped shore line, 48x18 ft pool w/ sun shelf. Magnificent views across the Chesapeake Bay with western sunsets. 4 car finished garage w/ workshop and guest home above. Country Club Amenities! 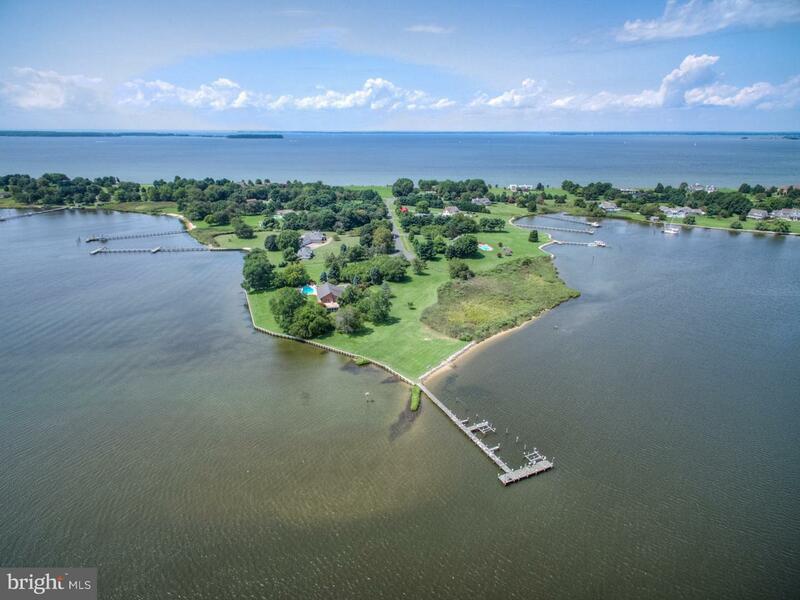 Magnificent all brick waterfront home w/6 br's and 6 full/2 half baths in The Landings at Mattapex Plantation, Kent Island. 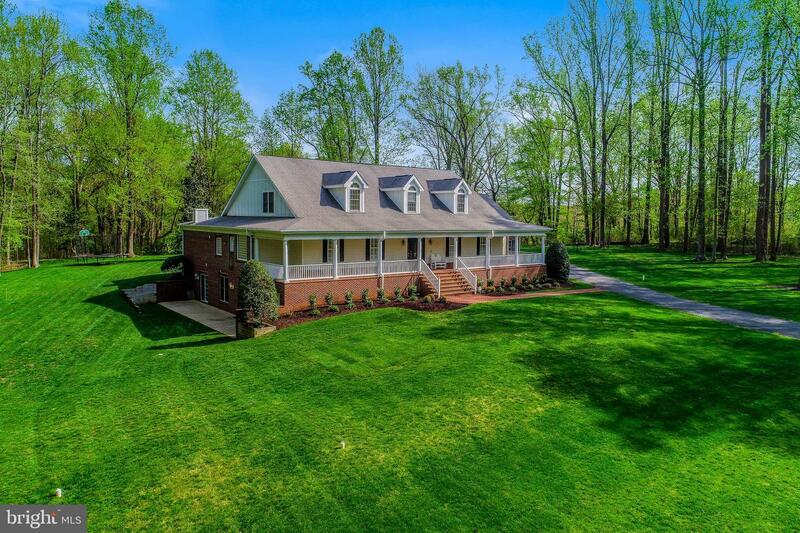 Built in 2001 on 1.82 private and professionally landscaped acres. 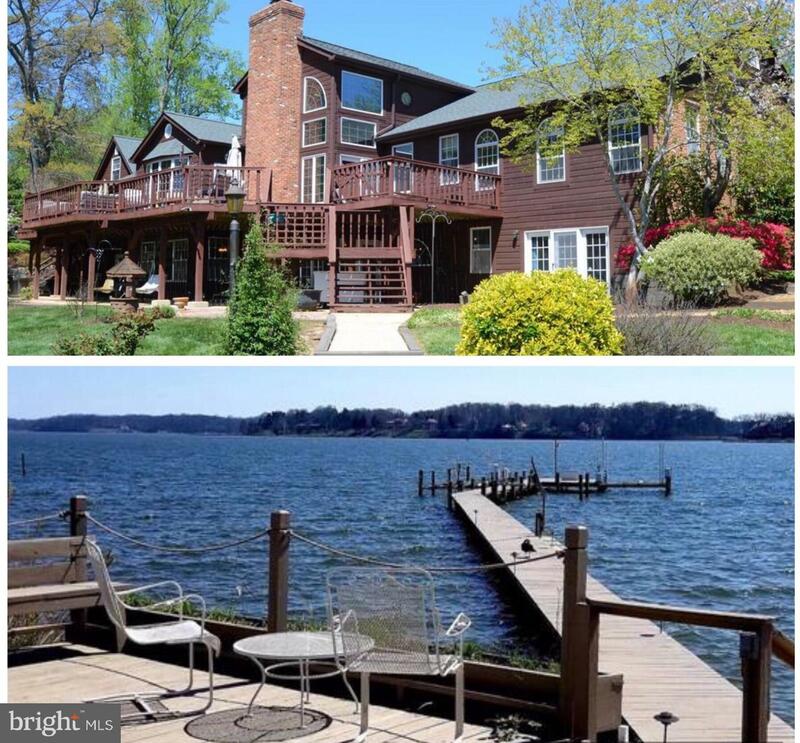 This home offers 225 ft of sandy beach on Shipping Creek with 5ft of mlw, a 200 ft dock, 2 boat lifts & 2 jet ski lifts, 42x22x7 ft heated pool, separate custom hot tub & multiple decks with outdoor kitchen. 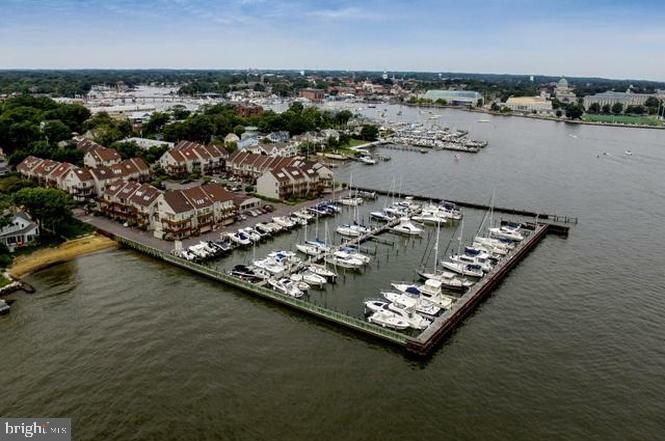 Waterfront on Spa Creek in Downtown Annapolis!!! 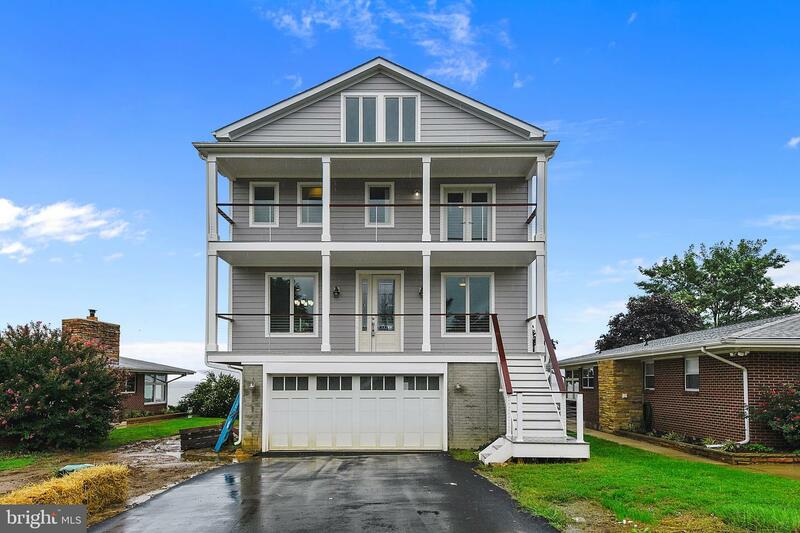 Property features open floor plan, walls of glass, rooftop deck, 50'*20' slip with 8+' MLW, off-street parking, upgrades throughout and more!!! Walk to Main Street and the rest of Downtown Annapolis. Contact listing agent for additional information!!! 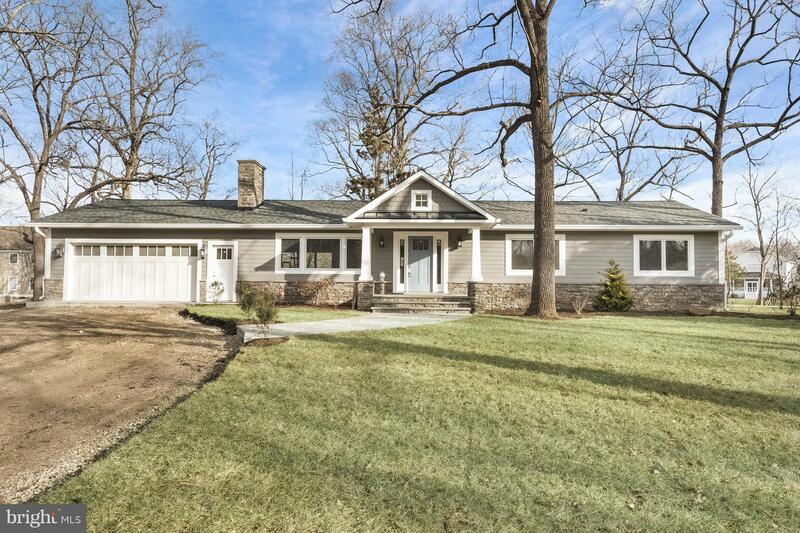 Open SAT 4/27: 1 to 3 pm. GREAT PRICE REDUCTION on this professionally staged home! 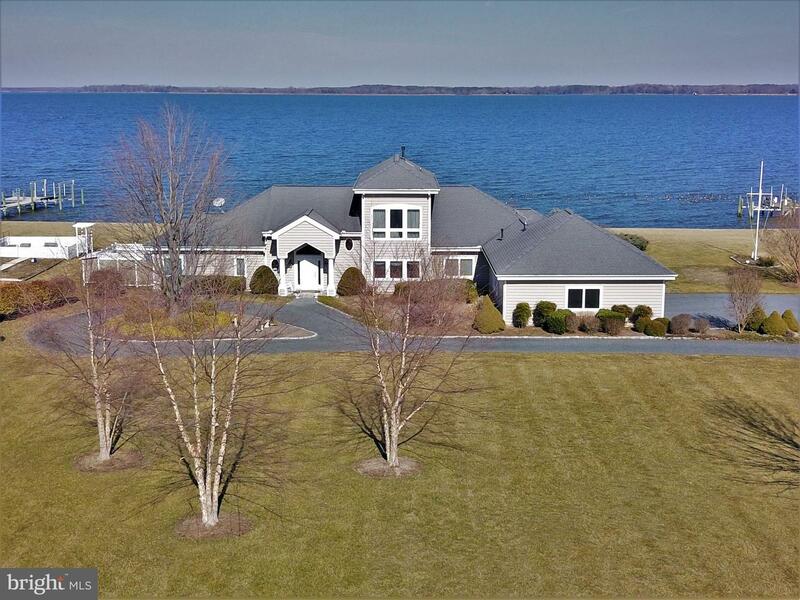 Gorgeous waterfront property with 2.15 acres of tranquil space! Thoughtfully designed open floor plan, gourmet cook's kitchen and a stunning great room with wall to ceiling windows ensures water and nature views year round! Relax on your private pier on Beard's Creek or poolside on your beautiful patio. Master Suite features en suite bath with dual vanities, two walk in closets, spa like steam shower. Oversized three car garage is two tandem spots and a single spot. Large driveway can park multiple cars. Extras include dry sauna, half bath/dressing area accessible to pool, composite deck. 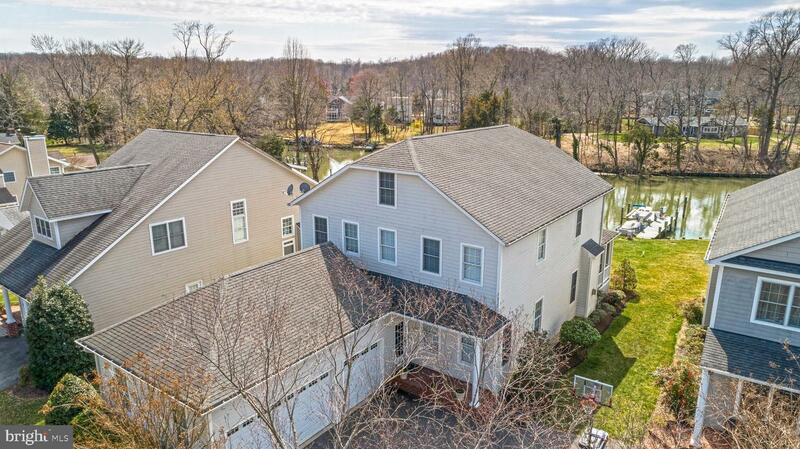 Close to major commuter routes to DC and Baltimore and public transportation. Welcome home! Listed by and of Long & Foster Real Estate, Inc. Stunning views of the Sparkling Severn from nearly every window - this sun-drenched custom Greco build was made for entertaining! 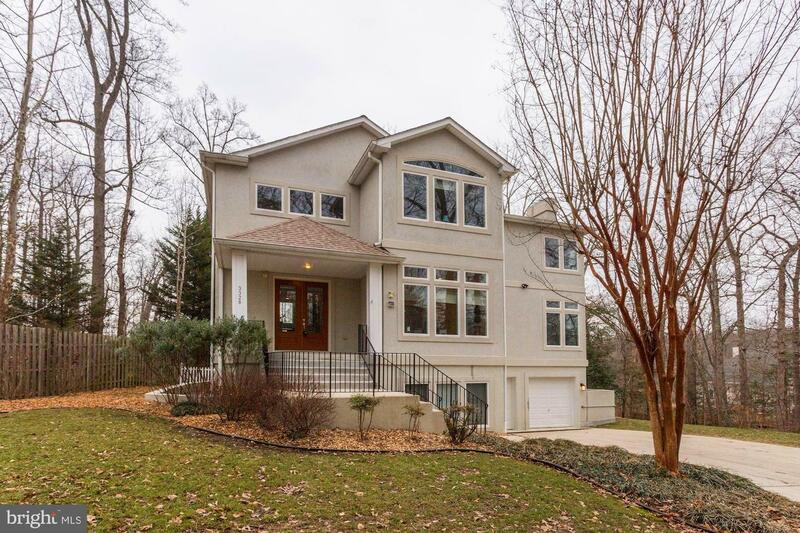 This meticulously maintained 5300-SF home features 5 bedrooms, 4.5 baths, 2 wrap-around decks, 2 screened-in porches, 4 fireplaces, and a large walk-in butler's pantry. The 1,000-SF Entertainment Room features floor-to-ceiling windows, vaulted ceilings, water views, deck access via multiple French doors, and a large dining space - plenty of room for a table and a buffet. SONOS WiFi Speakers are installed throughout the home and on the upper level deck, which makes entertaining even easier. Both master suites boast walk-in closets, double vanities, jetted/soaking tubs, and stand-up showers. Other notable attributes include: hardwood floors, plantation shutters, updated kitchen and bathrooms with high-end finishings, freshly painted throughout, and professional landscaping. Two of the three HVAC zones were replaced in 2017. Located directly above the Downs~ Clements Creek Marina, this home has the best of both worlds - quick and easy access to your boat without the costly taxes and upkeep of owning your own private dock! Sited on a lush one-acre lot with a circular driveway at the end of a quiet cul-de-sac. 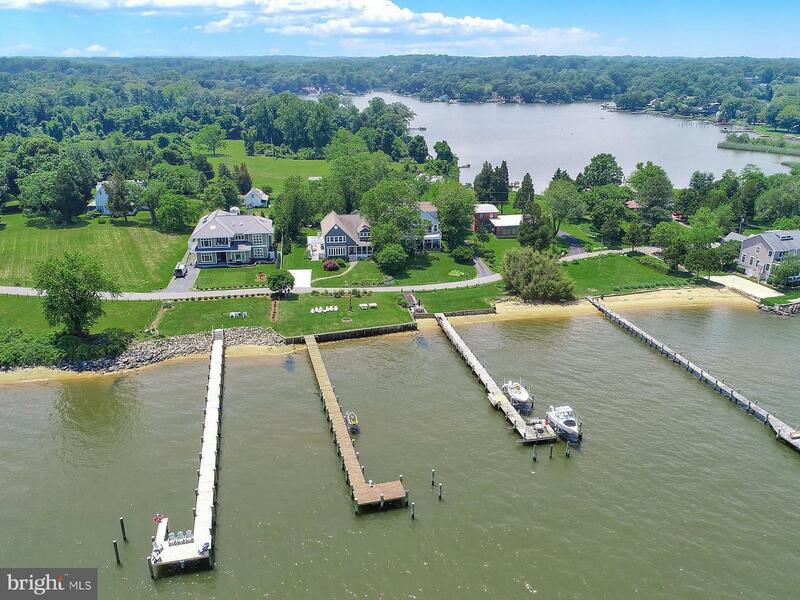 Downs on the Severn is a residential community of 225 properties encompassing 335 acres on a peninsula between Clements and Brewer Creeks, extending into the Severn River. All homeowners enjoy the numerous amenities of this sought-after waterfront community, including a club house, outdoor pool (with a swim team), tennis courts, playground and two marinas. Clements Creek Marina has 76 boat slips (30-50 foot slips available for 2019) and Brewer Creek Marina provides deep-water access to the Severn River and the Chesapeake Bay. List price well below current appraised value! You must tour this property to fully understand and appreciate this special waterfront property on the Wye River. 4,000 sq. 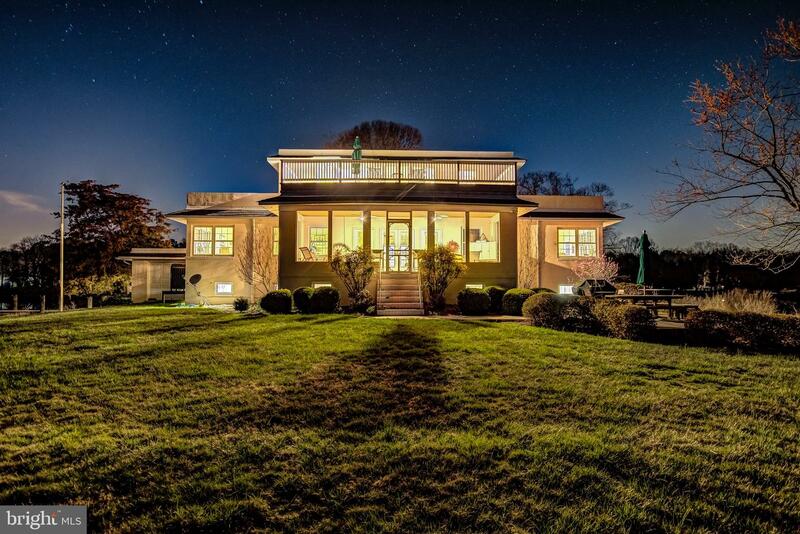 ft. brick colonial, in-ground pool, deep water private dock, panoramic views of the Wye River. Very private setting with mature trees and abundant wildlife. Full details online at 118icehousepoint. 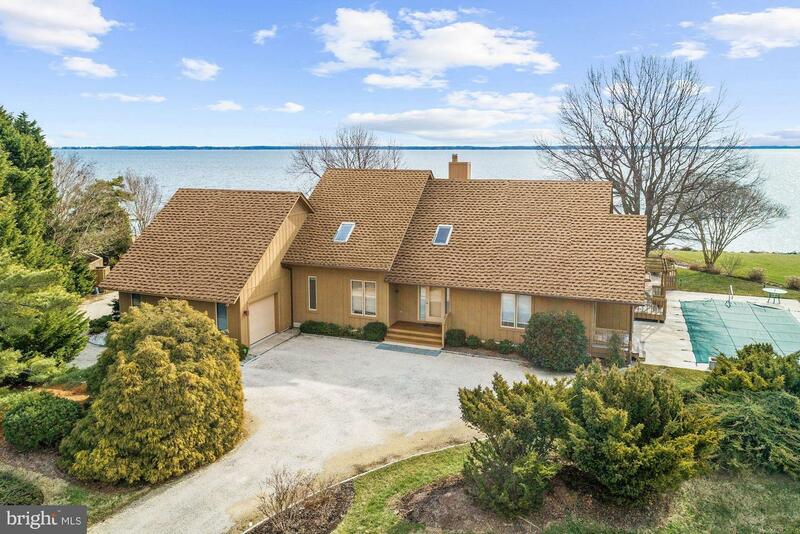 Annapolis Waterfront - We invite you to experience the extensive updates and upgrades recently completed to this beautiful Annapolis Waterfront Extended Craftsman granted 180 degree unobstructed views of the Chesapeake Bay and located within the Broadneck School District. Start your day by relaxing on the front porch and sipping your morning coffee while savoring the beautiful sunrise over the Baltimore Lighthouse and watching the ships and yachts navigate their way through what would seem like your front yard! As you listen to the sound of the Waterman pulling fresh crabs from the Bay, set sail on your boating, jet skiing, fishing or kayaking trip from your very own private 150 foot upgraded Brazilian Hardwood IPe Pier, equipped with power and a Jet Ski lift and its own sandy beach After a fantastic day out on the water be sure to watch the sun set from the back deck as you enjoy a glass of your favorite beverage before heading back out front to laze by the fire pit and gaze at the stars as they glow brightly above The Chesapeake Bay. Prepare dinner in the newly updated gourmet kitchen that is adorned with white quartz counter tops, stainless steel appliances and a large center island, the perfect place to congregate and entertain while staring out of the full-length windows at the marvel of the Chesapeake Bay. Retire to the extensive master bedroom or step out onto the adjoining deck and relish the view from there before drifting off into a deep sleep and dreaming about your next waterfront adventure and the beautiful lifestyle that you lead. Stroll from room to room and enjoy the wide-open floor plan adorned with gleaming hardwood floors that extend upstairs into the 4 very large bedrooms. The private right of way extends to the end of the peninsula allowing the neighbors to get to and from their beautiful homes. The house was an original 1949 beachfront Cottage that has been renovated several times most notably in the 90s and again in 2005. The 2005 renovation doubled the size of the home and added the beautiful Pier. Recent upgrades and updates were completed in March 2019. If work should beckon the home enjoys easy access to Annapolis, Baltimore, The Eastern Shore and Washington D.C as well as 3 International airports that will service your business and vacations alike. Listed by Colleen M Smith of Long & Foster Real Estate, Inc. 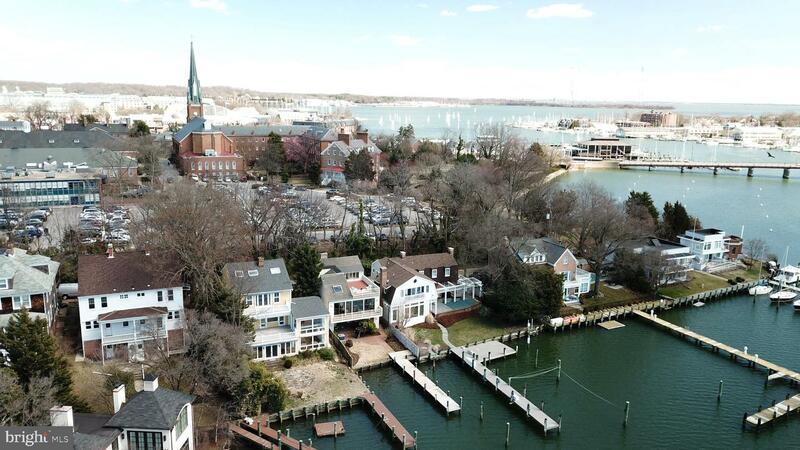 This fully & meticulously renovated stunner in the heart of Eastport embodies true Annapolis maritime tradition. 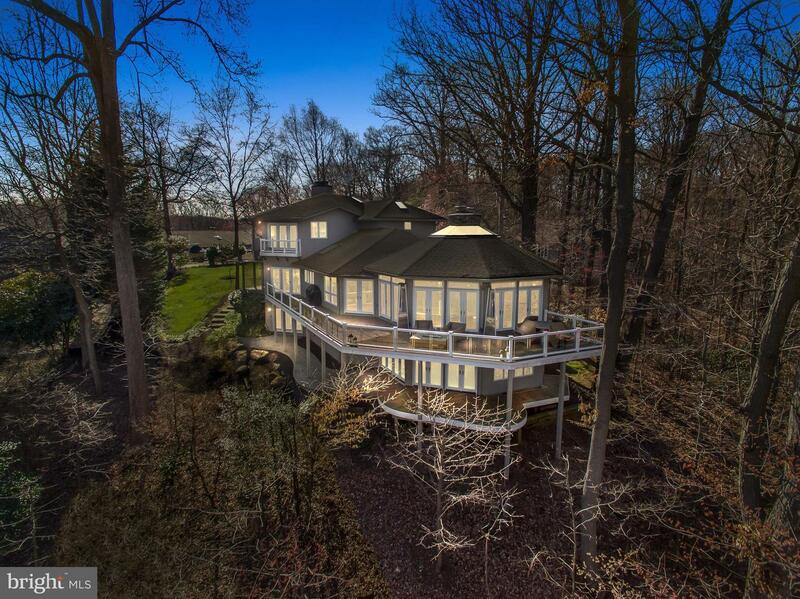 A distinctive fusion of the Craftsman & Coastal architectural styles, the home features a 4-level custom design, multiple views of Spa Creek & Historic Annapolis, and 3,624 square feet of exceptional craftsmanship, materials and details. Updated and expanded in 2017, the home is perfect for entertaining. Discerning interior details include a wide-open floor plan with reception area, a gourmet kitchen, an inviting family room, and premium millwork, built-ins and hardwood flooring. On the 2nd floor, you'll find an owner's suite with luxury bath, two other large bedrooms, a hall bath and a shaded corner lanai/balcony. The 3rd floor offers a private oasis -- a unique loft/bedroom suite that features hardwood flooring, arched ceilings, a full bathroom and more water views. Outside, you'll enjoy fresh air, coffee and water views from the lanai. The front and rear porches -- and tastefully manicured yard -- inspire true indoor-outdoor living. 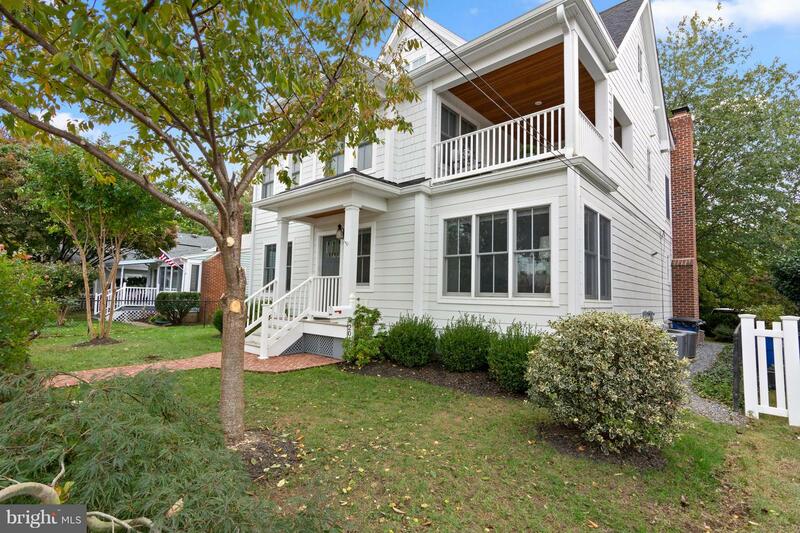 Tucked at the end of a desirable street, the home is a short walk to Eastport shops, restaurants, boat-slip rentals and downtown Annapolis. The property has street access from both the front and rear sides. With the 1-car garage and 2+ car driveway, you'll always have plenty of parking. Schedule a private tour of this gorgeous home today! 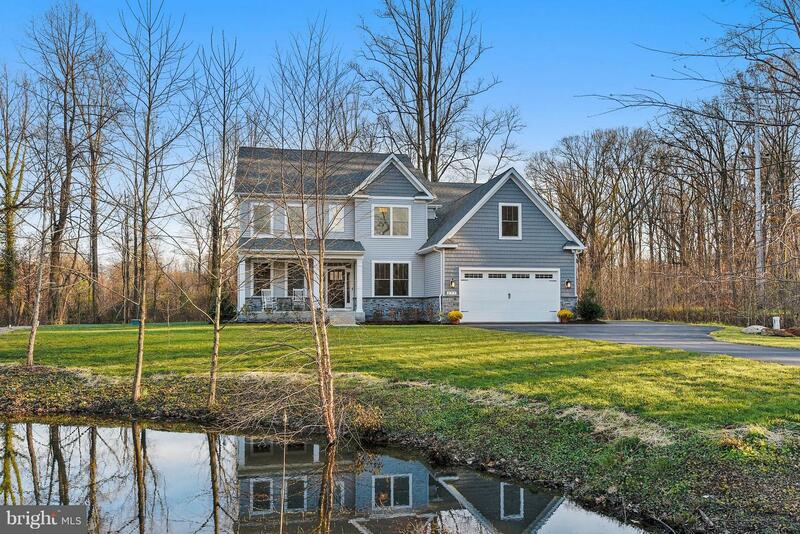 Davidsonville living at its finest! Welcome to the perfect property that you have been waiting for. 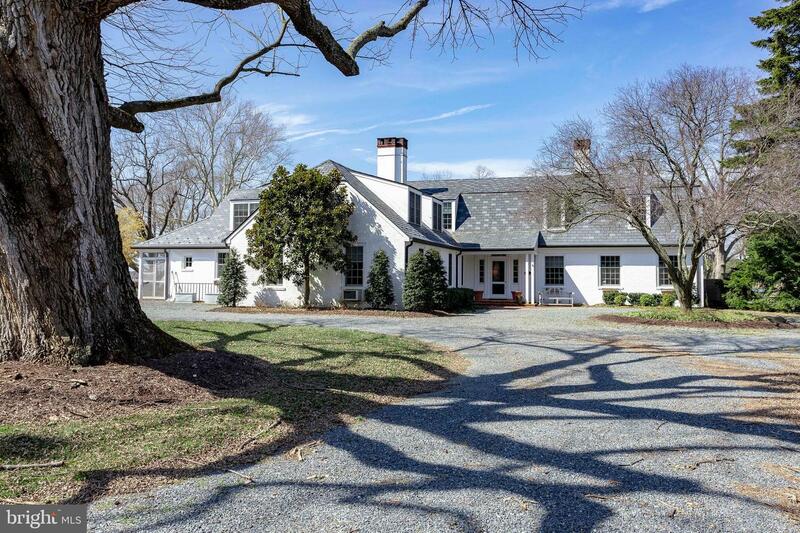 This Grand Cape Cod is settled on 5+ acres in beautiful Carriage Estates. This property is loaded with space in a lovely serene, private setting. 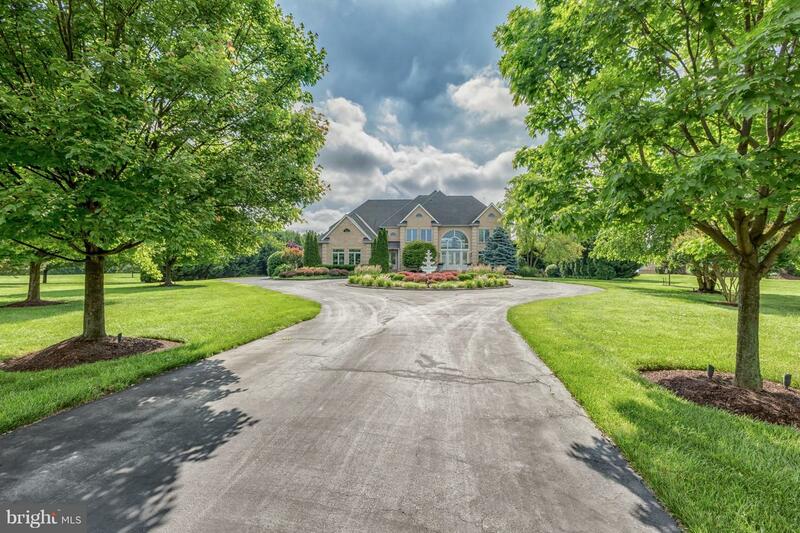 This home offers just under 7,000 sq ft of exceptional living space that is ready for you. When you arrive, you are greeted by the oversized, brick, semi-wrap around porch. Perfect for sitting and enjoying your morning cup of coffee or your after work cocktail. When entering the home, you will see marble flooring in the foyer, which makes for a grand welcome. This home has three large living areas great for friend and family gatherings but also cozy enough for sitting in front of the fireplace on a cold night. Speaking of fire places, there are 3 gas fireplaces in the home. With five bedrooms, there is space for everyone. The master bedroom is on the entry level and has enough room for a sitting area or an office. It~s also complete with its own wet bar and extra large bathroom. First floor laundry is always a plus. The upstairs of this beautiful home is perfect for the kids, out of town guests, or the in-laws. You will find three large bedrooms and two full bathrooms. Each bedroom has its own sink, vanity, and walk in closet. You will find the fifth bedroom over the garage which makes for perfect guest quarters. Also, complete with its own walk-in closet and full bathroom.As everyone knows, the hub of the house is the kitchen & this one is fabulous! It is a must see, totally open to the rest of the level with an amazing 14~.5~x5~ counter/bar. New stainless steel appliances with double oven convection/microwave, warming drawer & 5 burner convection cook-top on center island. Refrigerator/Freezer combo, wet bar with ice machine and drink fridge. Don~t miss the extra freezer.Lots of fun in the sun in this totally redone, large grecian style pool complete with waterfall feature. Outdoor shower and restroom makes for an added bonus. You will need to come view this property to see all of the other amazing features like the 3000+ Sq. Ft. basement with workshop and separate garage for lawn equipment or other toys! Room for horses and livestock too! Truly an entertainers paradise. Don~t forget, you~re minutes away from Downtown Annapolis, Ft. Meade, DC, and Baltimore. This property feels like a vacation retreat, but the amazing thing is, you~re already home! Make an appointment for your private tour, today! Stunning custom home. Magnificent two story great room off modern kitchen. Wonderful for entertaining. Marble foyer and hardwood floors. Extensive moulding throughout deluxe dining room, music/living room and huge master bedroom. 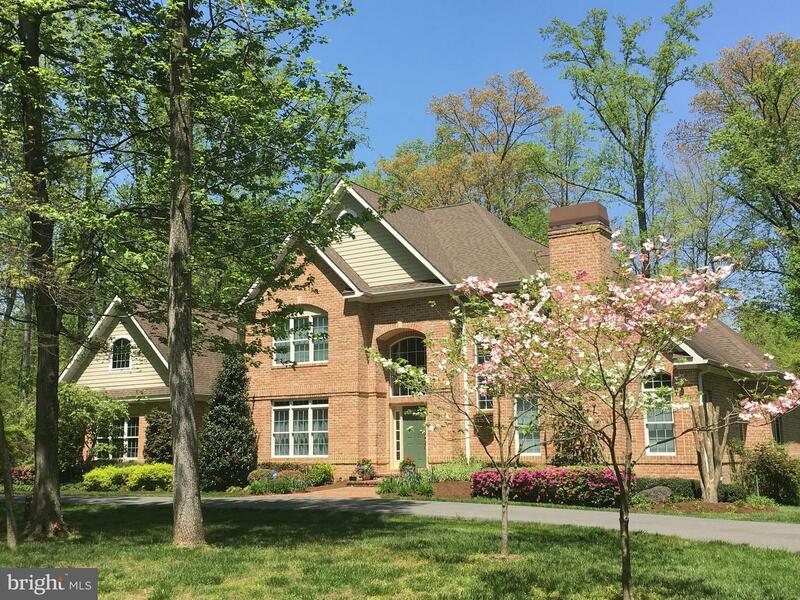 Movie theater, large exercise room with mirrors, beautiful mature landscaping, three car garage, community marina, Broadneck schools. 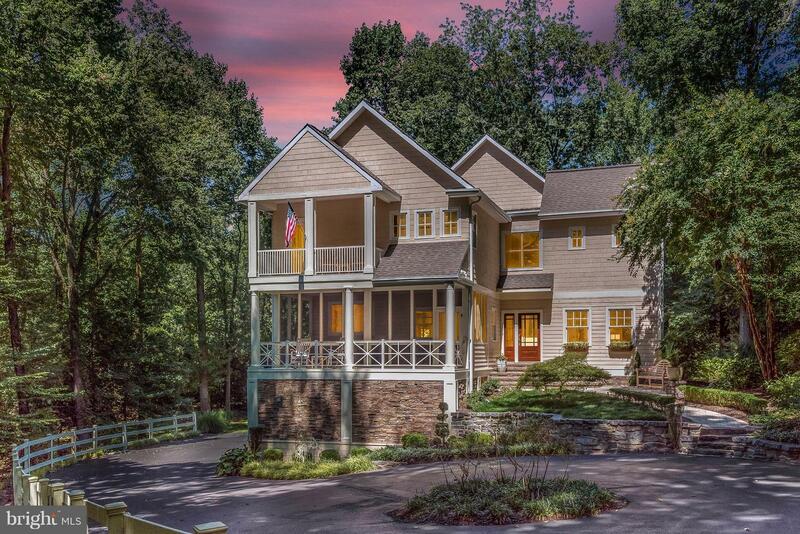 Brand new construction on the chesapeake bay! New 70 pier with 5 ft of mlw. 4 finished levels of living space with amazing bay views from most all rooms and western sunsets! Low maintenance exterior construction materials. Vacation at home. Private air strip, marina, restaurant, and beach in the community. Generous Price Reduction!!! Prime Eastport Living! 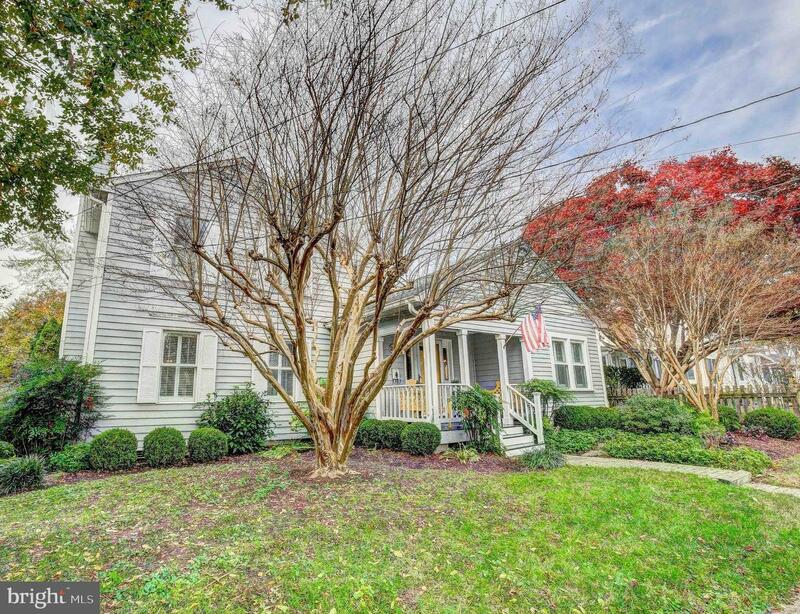 A large lot right off Spa Creek extending from Lockwood Ct to Creek Dr w/ generous backyard, screened in porch and deck. Open floor plan, renovated kitchen, w/ stainless steel appliances. 3 bedrooms on 2nd floor, with additional in the basement. Easy walk to downtown Annapolis as well as local Eastport favorites.